If you're ever in Oslo, here are my best tips for dining, shopping and doing! 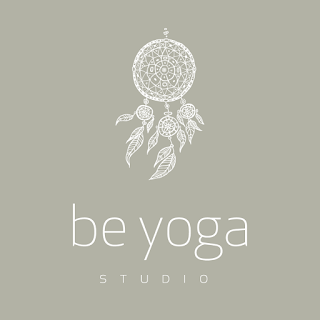 I highly recommend stepping into a BeYoga shala - if only to experience the whole energy that surrounds Be Yoga. The teachers, the students, the vibe. Amazing! Daniella and Rebekah invite everyone to play at DaRe Yoga in Lillestrøm, just outside Oslo. These girls are so much fun! Warm hearts! Here you'll find everything from See by Chloé, Bruuns Bazaar, Whyred to the Norwegian brand Tom Wood. They also have a gorgeous vintage section in the back of the store. My favorite second hand store in the whole city. I've found everything from Burberry to ACNE - and all that magic stuff in between. They've just relocated to the edge of Olaf Ryes plass, which makes it so much easier to find. My number one tip! Go get your signet ring and make it your family heirloom. I've your an avid thrifter, like me, you'll love this place. They have a lot of stuff, but if you take time to sort through it all you're bound to end up with something amazing. A perfect way to spend your Sunday in Oslo. Here you'll find everything from true vintage to hand made scarves. Concerts, cheap beer and art is also on their agenda all week. Want to rummage through local fashionista closets? Love second hand? Check Facebook for dates and places! Ecological and made from scratch. A true treasure in Oslo. In general, Baker Hansen is great. They have good coffee and great food if you're hungry for salads or a sandwich. They're located all over town, but my favorite one is on Majorstuen. Like Jazz? Or not? This hidden treasure is one of the coziest places in Oslo. Small menu, but perfect atmosphere. Døgnvill has the best burgers in Oslo; without a doubt! Located at Vulkan, right next to the beautiful Mathallen. Like to eat and try new things? Then the local food court is the place to visit. Here you'll find everything from funky pies to fresh seafood and fair trade chocolate, as well as wonderful restaurants. Absolutely worth a visit, at least once a month! They also offer cooking classes! The "classic snowball" covered with dark chocolate and sprinkled with coco, puffy and delicious. YUM! The little café also serves home made chocolate in a great verity of taste i.e. banana, strawberry and mocca. Of course. It's mandatory. Our most famous sculptural park. Like tiny boutiques and cafés? Just go to Grünerløkka and explore. Located right next to the Munch museum at Tøyen, Botanisk Hage is the perfect place to get away from the city. Make sure you stop by the tropical green houses. A lot of tourists love this area of town, and for good reason. Combining boats, restaurants and shopping is their thing - and it really works. Want a view of the harbor while dining? Go to Aker Brygge. I recommend Druen for fancy food and expensive drinks and Jacob Aal for affordable and delicious food. Walk on the world famous Opera roof and take in the view of our barcode and the fjord.